Relax! BOTOX® Cosmetic Allows Your Smile to Shine Through! Originally developed to treat blepharospasms, or eye “tics,” BOTOX® Cosmetic relaxes the delicate underlying muscles in your face to improve the appearance of worry lines, frown lines, laugh lines, crow’s feet, and other dynamic wrinkles caused by muscle contractions. BOTOX® Cosmetic injections are often virtually painless, and the results are amazing. You’ll see a difference with each passing day. BOTOX® Cosmetic is a perfect way to reverse the signs of age that appear around the eyes and forehead. Your face will take on a younger and more relaxed look. BOTOX® Cosmetic treatments are repeated as necessary to maintain optimal results. 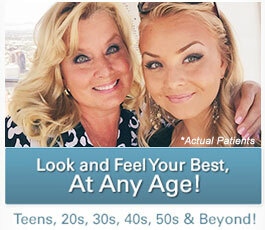 Come to Palos Verdes Plastic Surgery Medical Center and try BOTOX® Cosmetic today – smile without wrinkles tomorrow! Here we have provided answers to some of the most commonly asked questions about treatment with BOTOX® Cosmetic. If you are interested in getting more information or finding out if BOTOX® Cosmetic is right for you, we encourage you to schedule a consultation with Dr. Petti, our board-certified plastic surgeon in Los Angeles. What happens during treatment with BOTOX® Cosmetic? BOTOX® Cosmetic is injected with a very fine needle into the areas targeted for treatment. The entire procedure typically takes about 10 minutes to complete, depending on the number of treatment areas. To begin, the skin is desensitized with a topical anesthetic to prevent potential discomfort. Next, the BOTOX® Cosmetic solution is strategically injected in and around the muscles that are causing your wrinkles to form. Once your injections are complete, you are free to return to your usual activities. Are BOTOX® Cosmetic injections painful? We do everything we can to make the BOTOX® Cosmetic procedure as comfortable as possible, and most patients report that the process is virtually painless. To help prevent any uncomfortable sensations during injection, a topical numbing agent is applied to the target areas to anesthetize the skin. After treatment, it is possible for mild swelling, redness, or light bruising to develop at the injection sites, though these reactions should dissipate quickly. 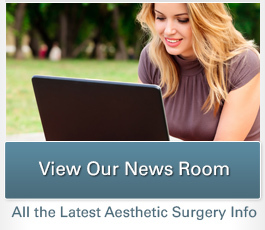 Is there a recovery period following BOTOX® Cosmetic injections? For the majority of patients, a recovery period is not usually necessary after BOTOX® Cosmetic treatment. Most individuals are able to resume normal daily activities right after the procedure, and many come in for treatment on their lunch breaks. There can be some mild swelling, bruising, and redness around the injection sites; however, these effects should fade within a few days. How long does it take for the results of BOTOX® Cosmetic to appear? Results of BOTOX® Cosmetic typically appear with five to seven days after treatment, but each patient is different. The appearance of the treated areas typically continues to improve over the next two weeks, becoming progressively smoother. When used for facial rejuvenation, the wrinkle reducing effects of BOTOX® Cosmetic usually last between three to four months. With regularly scheduled treatment sessions, Dr. Petti can maintain your youthful-looking results. If you receive BOTOX® treatment for hyperhidrosis in the underarms, results typically last between 6 to 12 months. Can I combine BOTOX® Cosmetic with other injectable treatments? Yes. Dr. Petti offers a wide array of cosmetic injectable treatments in addition to BOTOX® Cosmetic. Dermal fillers, such as JUVÉDERM® and Restylane®, can add youthful facial volume, smooth wrinkles, and fill creases, while KYBELLA® injections can diminish a double chin. To find out which injectable treatments may be right for you, we suggest contacting our office to schedule a consultation with Dr. Petti. During your appointment, she will evaluate your face, discuss the areas that concern you, and develop a custom-tailored treatment plan designed to achieve a more youthful, rejuvenated look. The best way to get a cost estimate for customized BOTOX® Cosmetic treatment is to schedule a consultation with Dr. Petti. At Spa Bella, our award-winning medical spa, we often run specials on many of our skin care treatments and injectable products. Check our blog frequently to find out about our latest offers. If you limit your wardrobe because of excessive underarm sweat, BOTOX® may be the solution you have been looking for. Yes, that’s right! BOTOX® can actually alleviate embarrassing perspiration occurring in undesirable places of the body such as the palms of the hands, feet, and armpits. BOTOX® is FDA-approved for excessive underarm sweating and helps manage the condition by temporarily blocking chemical signals from the nerves that stimulate the sweat glands. When the sweat glands don’t receive chemical signals, the excessive sweating stops. Contact us to find out if BOTOX® Treatment for Hyperhidrosis is right for you. Try BOTOX® Cosmetic Today – Smile Without Wrinkles Tomorrow! BOTOX® Cosmetic dramatically softens unsightly wrinkles between your eyebrows that make you look older than you probably feel. In only ten minutes, BOTOX® Cosmetic can take years off your appearance, leaving you looking and feeling younger, instantly! To schedule an appointment, contact us to become one of the millions of Americans who have experienced the wonders of BOTOX® Cosmetic!